Cheif of Jamat ud Dawa Hafiz Saeed has invited Bollywood superstar Shahrukh Khan to Pakistan in response to Shahrukh’s article for Outlook Turning Points magazine titled ‘Being a Khan’ in association with The New York Times. 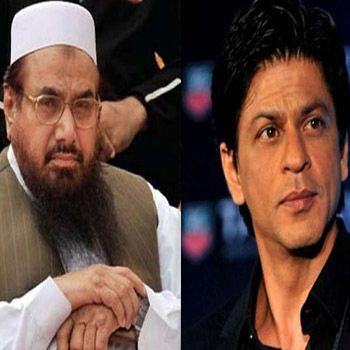 Shahrukh Khan Article and Hafiz Saeed’s invitation has caused unrest on social media and Hafiz Saeed has said that Shahrukh Khan will be ‘welcomed and respected’ in Pakistan. However, in an emotional way Shahrukh narrated that why he made anti-terrorist film “My Name is Khan” in 2010, which is based on Islamophobia and the way Muslims are stereotyped as ‘terrorists’.